Sisters Gwendolyn and Lucy Giles have been playing together for going on a decade, which is impressive given that, respectively, they are only 20 and 18 years old. 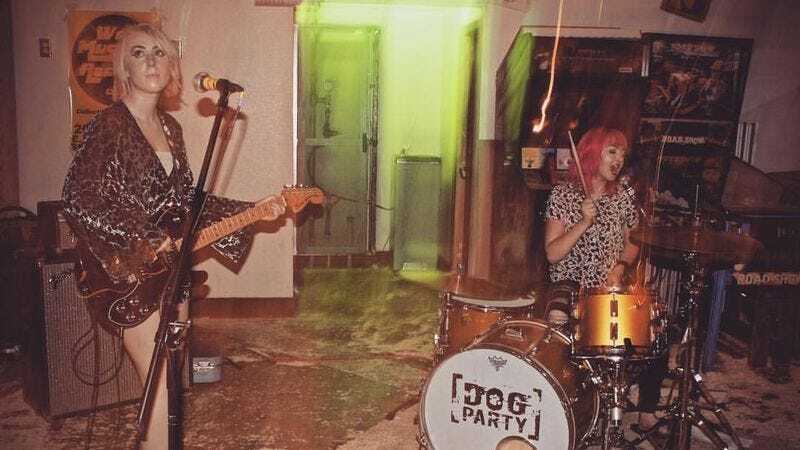 Dog Party released its first, self-titled album through Tumblr in 2009, and the Sacramento duo has only gotten tighter with each release. On August 5 Asian Man Records and Burger Records will release ‘Til You’re Mine, Dog Party’s fifth album of fuzzed-out garage-punk which comes barely a year after 2015’s Vol. 4. The A.V. Club is premiering “I Don’t Need You” today, which sees the Giles sisters take the ethos of the Ramones—short, fast, and a simple, repeated hook—and brandish it like a weapon. Awash in buzzsaw guitar riffs, “I Don’t Need You” shows that Dog Party didn’t need to tinker with its formula in order to create a total earworm. Pre-orders for ‘Til You’re Mine are available now through Asian Man Records.